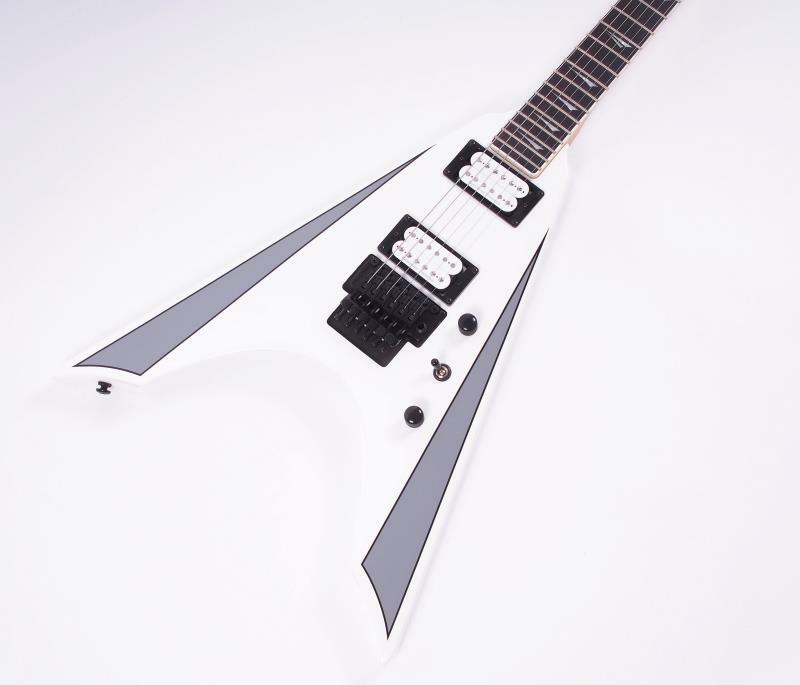 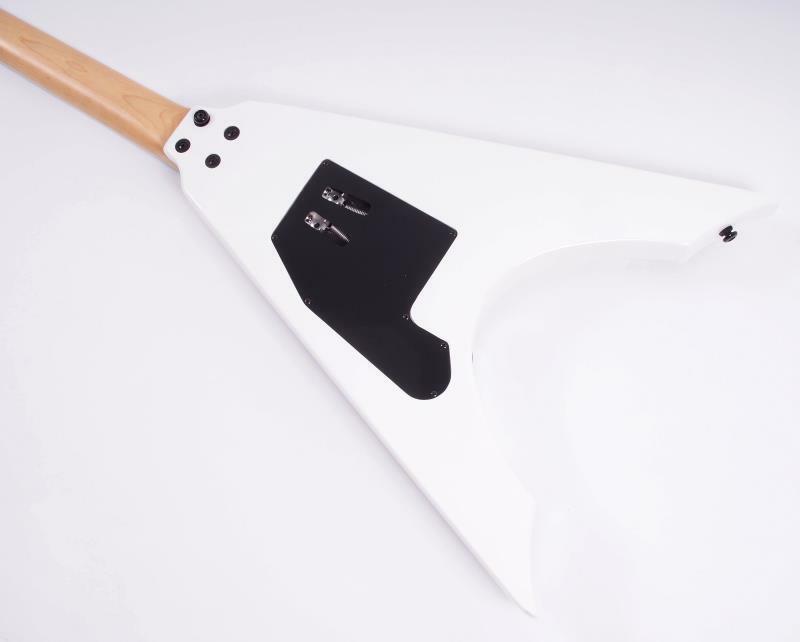 Nicknamed the 'storm trooper,' the Nite-V Plus from Kramer is an electric guitar featuring a sleek mahogany body and striking Alpine white finish. 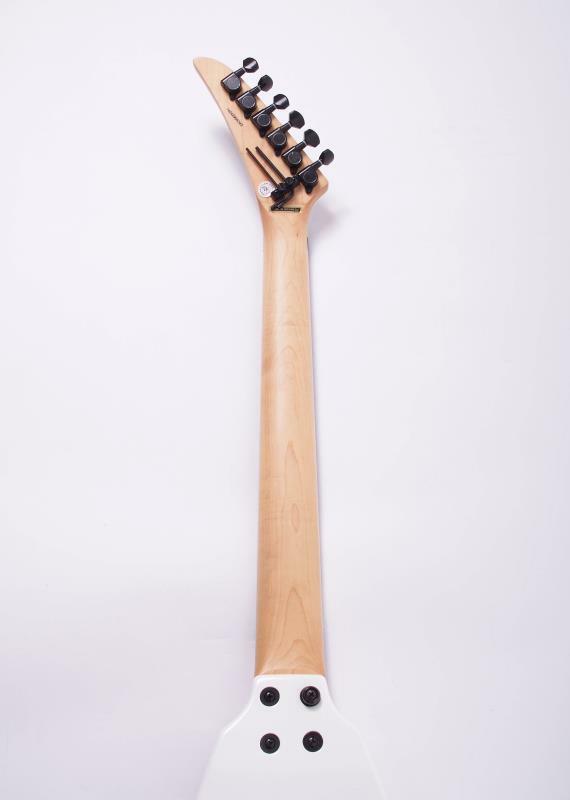 Onboard you will find a Seymour Duncar Alternative 8 pickup at the bridge and a 59' classic at the neck position. 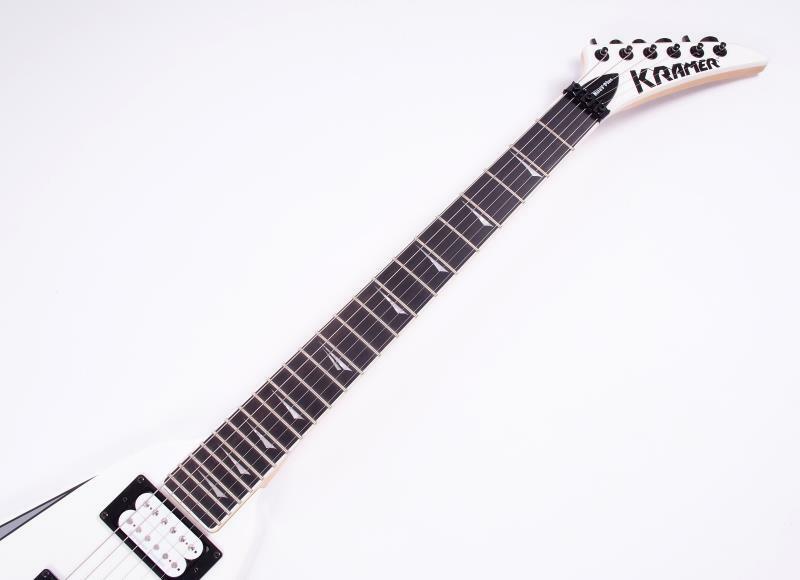 There's also a Nashville style tune-o-matic bridge model. 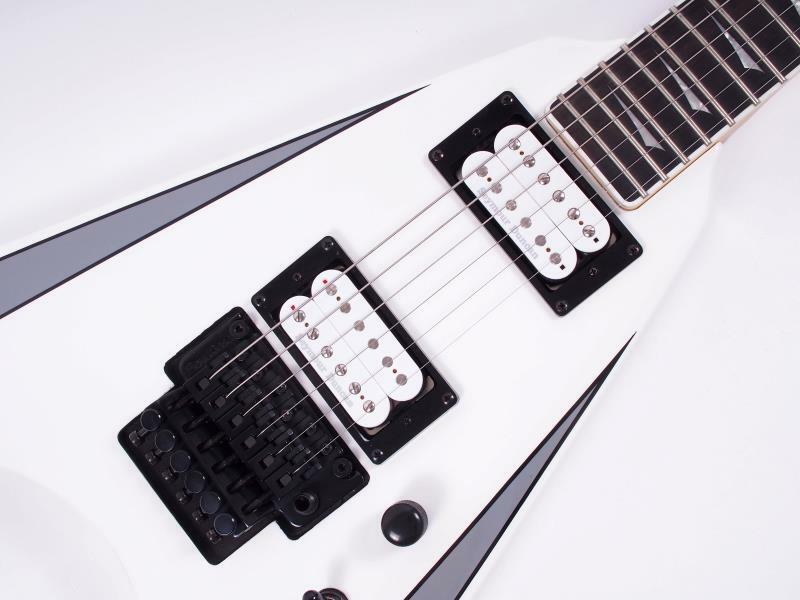 As you may have guessed from the name, the guitar features Floyd Rose locking trem system. 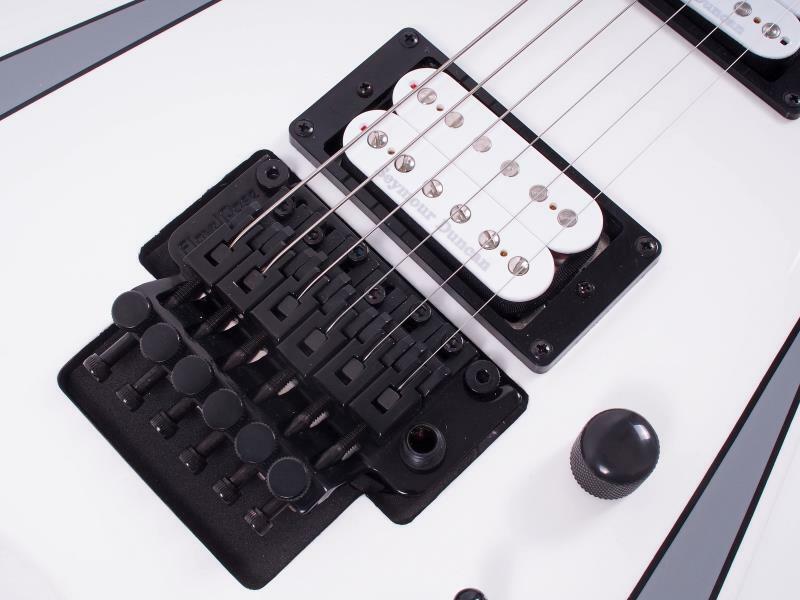 The stealthy Kramer Nite-V Plus Floyd Rose gets some serious upgrades to bring you the Nite V Plus. 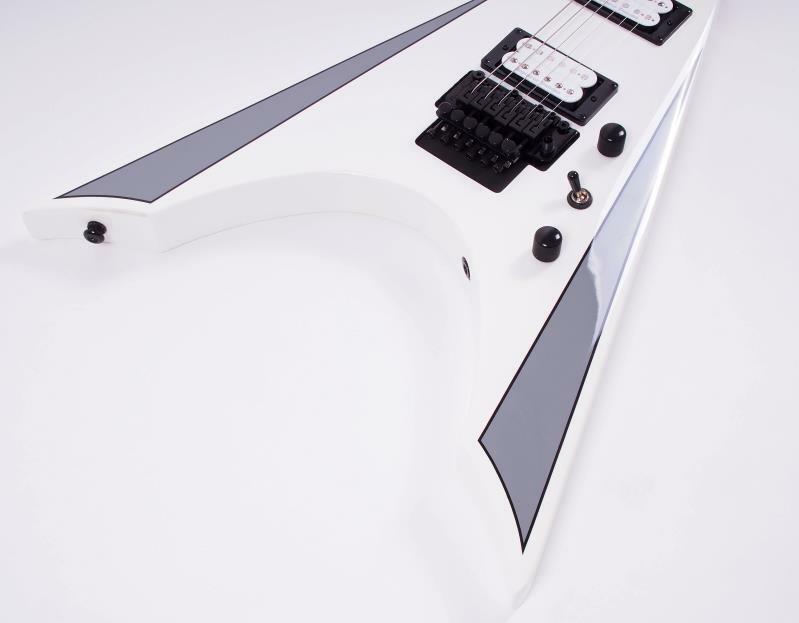 Kramer have taken the contoured, sleek Mahogany body and added a high gloss Alpine White finish with grey panels to accent the Nite V's sleek lines. 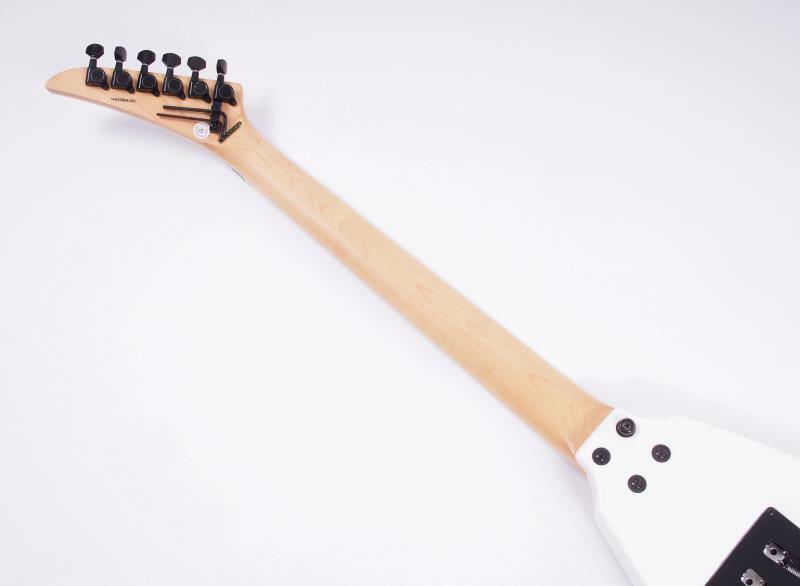 The 22 fret, 25 -+ inch scale Maple neck with its' Ebony fingerboard is bolted in and bound in white all the way around the "pointy" Kramer headstock containing the classic Pyramid style logo. 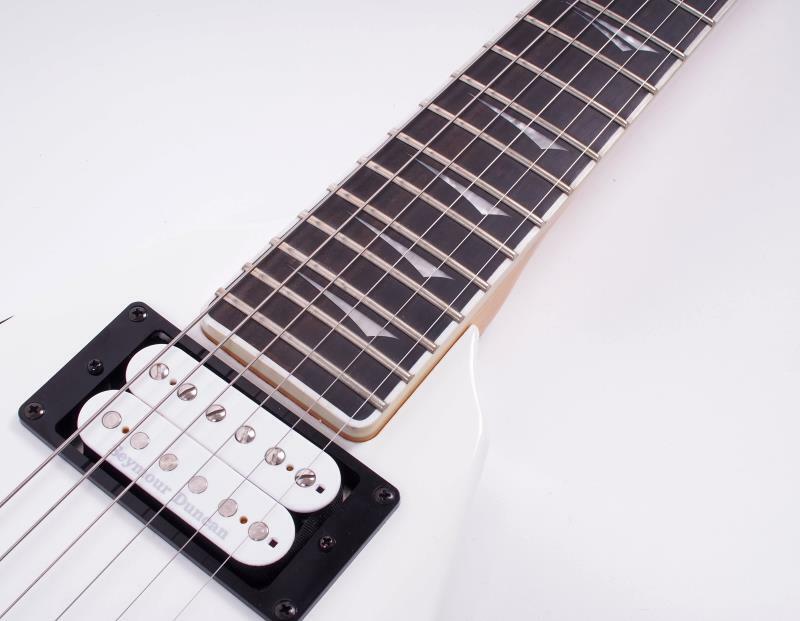 As far as the electronics are concerned the Kramer Nite-V Plus Floyd Rose comes loaded with a Seymour Duncan Alternative 8 in the bridge position and a 59' Classic in the neck position that is coil tapped by the tone control. 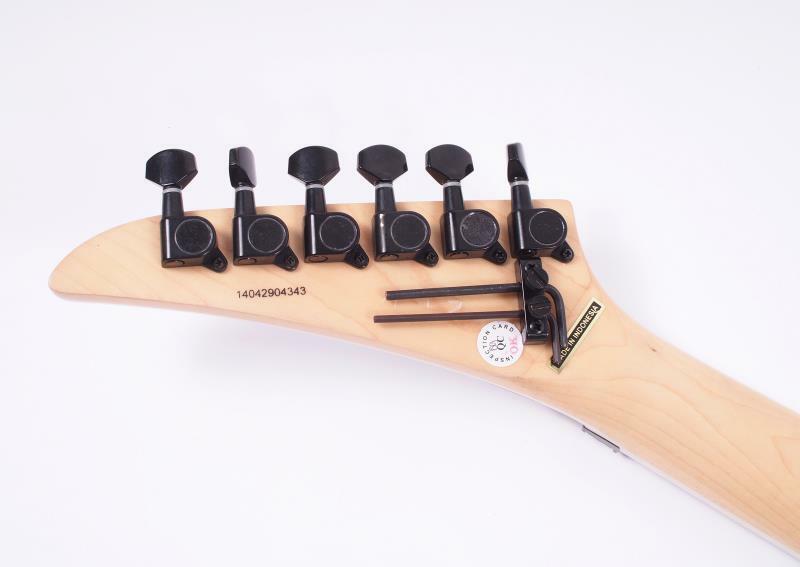 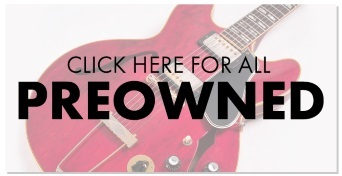 The recessed Nashville style tune-o-matic bridge model solidly transfers the strings vibration into the body for excellent sustain and dependability. 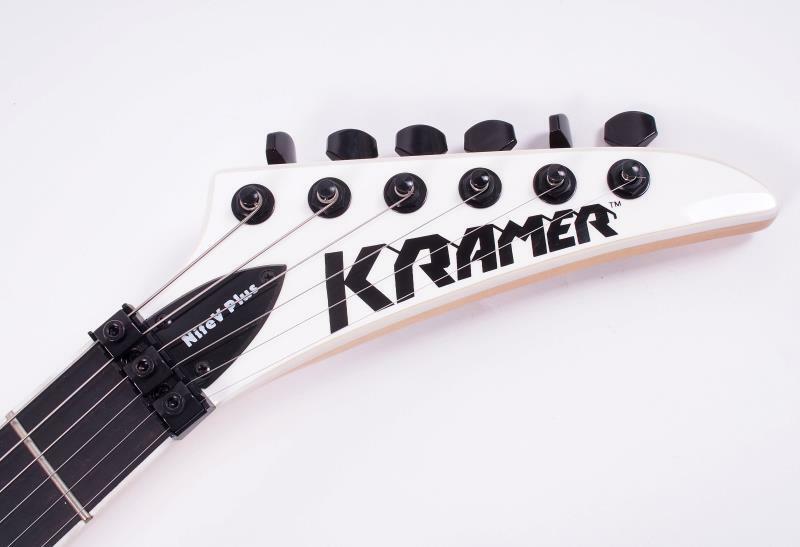 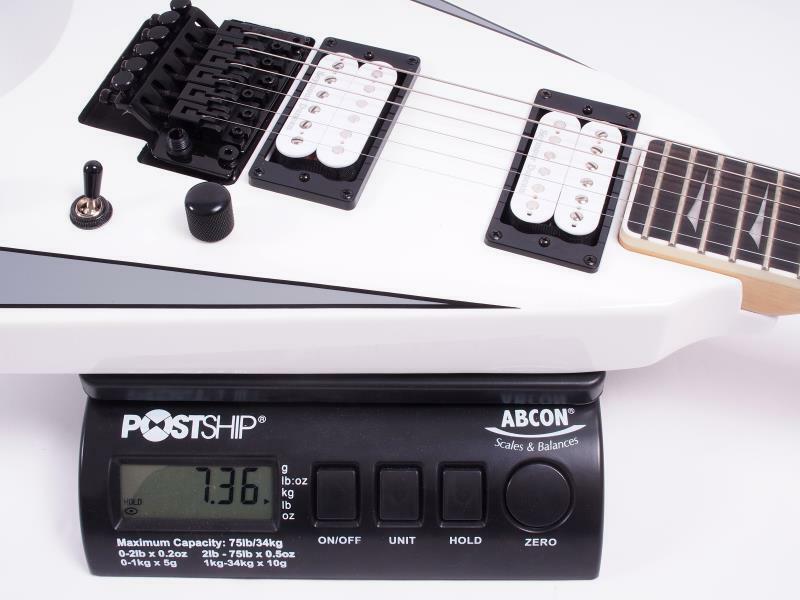 For those who like to take things over the top the Kramer Nite-V Plus version comes loaded with the Floyd Rose locking trem system. 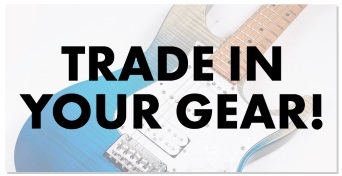 From Classic Rock to wide open Thrash, the NiteV Plus is the one stop guitar that can cover it all.